NIFT 2019 Call Letter for situation test has been released for all courses. It will be organized by National Institute of Fashion Technology (NIFT). It is a national level examination. 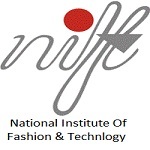 NIFT offers admissions in various UG and PG courses in the field of fashion and technology. Through this exam students will get admission in B.Des, B.F.Tech, M.Des and MFM programmes. This exam is organized once in a year. The university will organize CAT (Creative Ability Test) and GAT (General Ability Test) to offer admission. Here we are providing details for NIFT 2019 including admit card, important dates, exam pattern, syllabus, etc. NIFT 2019 Call Letter for situation test has been released. Check here for call letter details. NIFT 2019 Selection of Date & Centre for situation test (B.Des) has been started. NIFT 2019 Admit Card has been released on 10th January 2019. Check here for admit card details. NIFT counselling 2019 will be started after the declaration of written test result. There will be various admission rounds organized like interview, group discussion and situation test. Candidates will have to bring the required documents and their photocopies at the time of admission. Seats will be allotted to candidates on the basis of rank, category, availability of seats and performance in the admission rounds. Candidates those appeared in the written exam can check the NIFT 2019 result via online mode. It has been announced for B.FTech., M.FTech. and M.F.M. on 6th March 2019. For B.Des & M.Des it has been released on 26th March 2019. After the result announcement, group discussion, interview, situation test will be conducted. After that a final result will be declared in the month of June 2019. The admit card has been provided to students only through online mode. NIFT 2019 admit card has been published on 10th January 2019. NIFT hall ticket will not be sent via post. In case of any discrepancy in the admit card contact to the officials immediately. Exam Mode: The examination will be conducted via pen and paper based mode. Papers: There will be two papers conducted, i.e. CAT and GAT (as applicable). Duration: The exam duration will be 120 minutes (2 hours) for B.Des & M.Des. Negative Marking: There will be no provision of negative marking. The syllabus of NIFT entrance exam has been divided into two sections, i.e. CAT and GAT. GAT syllabus for M.Des/B.Des courses will contain topics like Quantitative Ability, English Comprehension, Analytical Ability, Communication Ability, General Knowledge & Current Affairs. CAT test will judge the ability, power of observation in concept development and design ability of the candidate. It also tests the creative and innovative use of colour and illustration skills. Question: When will be the NIFT application form 2019 released? Answer: It has been released on 22nd October 2019. Question: I have made mistakes in the application form. How can I correct it? Answer: The authority will provide the facility to make correction in the application from 29th December 2018 to 3rd January 2019. Question: What is the eligibility criteria to apply for B.Des programme? Answer: You can check the eligibility criteria from the above given section. Question: When will be NIFT entrance exam 2019 conducted? Answer: The examination will be conducted on 20th January 2019. Question: I am appearing in the 12th examinations. Am I eligible to apply for B.Des course? Answer: Yes, appearing candidates are also eligible to apply. Question: How much will be the application fee? Answer: The application fee is Rs. 2000/- for general/OBC-NCL and Rs. 1000/- for SC/ST & PwD candidates. Question: What is the last date to submit the NIFT 2019 application form? Answer: Candidates will be able to submit the application till 28th December 2018 (without late fee). Candidates can fill the application form through online mode. No application will be issued through offline mode. NIFT 2019 application form has been started from 22nd October 2018. Any correction in the submitted application form can be done during the correction window. Last date to fill & submit the application is 28th December 2018. Candidates should take a printout copy of the filled application for future use. The application fee can be paid through debit/credit card or demand draft. The DD should be drawn in favor of “NIFT HO” payable at New Delhi. The application fee is Rs. 2000/- for general/OBC-NCL and Rs. 1000/- for SC/ST & PwD candidates. M.Des/MFM UG degree in any discipline or UG diploma of minimum 3 year duration from NIFT/NID. For any other queries about NIFT 2019, you may leave your queries below in the comment box. Hlo sir, i am 12 class stu. Can i apply for admission this year. Check eligibility criteria given in the article. Sir,I persuaded in bca 3rd.am I elligible for m.des.or not.if I do then plz reply ….. I want to do this course. Can I apply For Masters in Fashion..
What are the documents required at the time of filling entrance form and at the time of actual admission ? I just wanna know where can i get those books. pls sent me exam centre in kolkata. As now i am doing computer engineering and in final year. So am i able to appear for NIFT entrance exam 2019 . I mean i am eligible for giving this exam or not because is it eligible to give this NIFT exam after completing my engineering ? hey I was done 2years diploma in fashion desgining can I apply for masters in design? Can I appear for the nift entrance exam for mumbai institute from kolkata. Check the eligibility criteria mentioned in the article. I am 30 years old and btech 2009 graduate. Can I apply ? I am a commerce student and also i got my degree can i apply and if i applied means where i want to go for exam??? I am about to complete my BE degree in 2019 but I am very much interested in fashion designing.can I apply too? ?if yes what is the preferable course for me? Can I take admission in NIFT-2019. Which book is best for Nift entrance exam 2019.. The age restriction for 2019 nift under grad programme is based on your age as on 1.10.2018 and not 2019. Kindly correct it. Sir can u plz tell maximum percentage in 12th is required for NIFT.? There is no criteria of percentage. Check minimum percentage of marks in the article to appear in the exam. Hey I’m giving my 12 right now i wana give exams in 2019 can I apply ? I have passed my 12th in 2016. Will I be able to apply for the entrance test 2019 ? You can apply if you are satisfying the age criteria. Eligibility criteria is given in the article. I will complete my 12th in this year. Can I apply for NIFT 2019 entrance exam ? I am doing b.com ,I am in 2nd year may I eligible for nift exam? I’m from chennai and I want to apply for M.Des , so in which center would I be allotted to write my entrance exam? I am an international student from the US; when and how do I take the exam to apply for 2019? for 2019, it will be released later. Whenever it will release we will update in our article. I have completed my 12th class in 2017. Can I give NIFT in 2019? Can we appear for the entrance exam just after our 10+2 exams? My question is as i am graduated in b.com and now I wanted to do masters in fashion because I am going to germany ..so what are the procedures in masters ? Check the complete procedure from our article. Can I apply if I’m appearing for my 12 exams in 2019? What is the difference between B.Des and B.F.Tech?? If some onehas not scored passing marks in class 12th boards. So can they eligible for appearing nift entrance exam? My d. O. B is 4th june, and im 17 years old,,, can i give nift exam? How many % are required in 12th to fill the application form? I’m below 18….am I also eligible for nift exam 2019? I’have just given 12th exams! If you are not satisfying the age criteria then you are not eligible. Sir my d.o.b is 1/03/1996 … Am i eligible for nift ug next year? I’m from odisha..But I want to study in Mumbai nift..Is it possible?? Who will decide our clg for study after entrance exam?? I will appear for my 12th boards in 2019. Can I appear for nift entrance exam in 2019? What is the minimum age of NIFT entrance examination? Can I write the entrance exam at the age of 17 when my 12th ISC result will be awaited? No, you can are not eligible. Q1. Can we apply for pg in fashion communication after ug in fashion design from a private design college ? How many times one can attempt nift . Is no. of attempts limited? Can we write entrance exam at the age of 18.PL tell me?? Why we can’t give this exam at the age of 18?? The should be 23 at the time of admission in 2019. 25 years for general and 30 years for reserve category.